Before selecting a floor-framing system, it is important to check back to determine how the lloor system will be connected to the foundation wall. When the sill-plate method of foundation wall and joist connection is employed, the sill plate must be securely anchored to the foundation wall. This is normally done using sill anchors embedded in the top of poured concrete walls, or in the top course of concrete blocks having their holes filled with concrete. The method of connecting the floor system to the foundation wall should be determined at the time the foundation wall is being construction because considerable time and expense is involved in providing sill anchors after the concrete has set. The following requirements for sill anchor bolt size and placement apply. -> Anchors must have a diameter no less than 1/2 in. (12.7 mm). -» Anchors must he fastened to the sill plate with nuts and washers, and embedded no less than 4 in. (100 mm). beams, which in turn support the inner ends of the first-floor joists as well as loads from upper floors transferred through walls and posts. Round, adjustable, structural-steel columns fitted with plates at both ends are commonly used. The top plate should be as wide as the beam it supports and either be bolted to the flange where a steel beam is used or nailed to the wood beam. Columns may be adjusted to length after installation to compensate for movement in the soil or settling caused by shrinkage in the framing members. Wood columns at least 6 x 6 in. (140 x 140 mm) may be solid or built-up of 2 in. (38 mm) lumber. Generally, 3 in. (76 mm) nails spaced at 12 in. (300 mm) on centre are used to fasten the built-up members together. 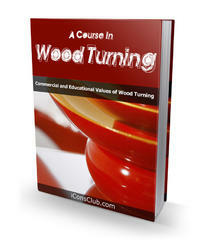 Wood columns should be the same width as the beam they support and cut to ensure even bearing at top and bottom. Each column is nailed to the beam at the top and separated from the concrete base at the bottom by dampprooflng material such as 6 mil (0.15 mm) polyethylene or Type S roll roofing. Columns are usually spaced 8 to 10 ft. (2.4 to 3.0 m) on centre, depending on the loading and strength of the beam they support. Either wood or steel beams may be used in house construction. One advantage of steel is the absence of shrinkage. 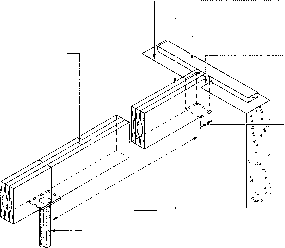 For steel beams, the I-beam is the commonly used shape. Wood beams can be solid or built-up. 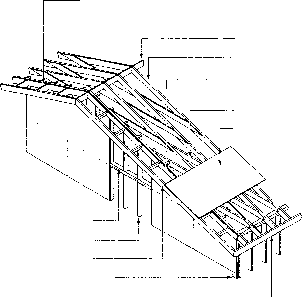 The built-up wood beam (Fig. 30) is usually made of three or more pieces of 2 in. (38 mm) thick lumber set on edge and spiked together from each side with 3 1/2 in. (89 mm) nails. The nails are driven not more than 18 in. (450 mm) apart in each row, with the end nails located 4 to 6 in.